Where’s My West Virginia State Refund? 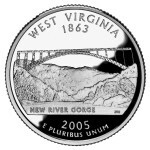 Check Your 2014 West Virginia State Return Status. Where’s My WV State Refund? You will need your social security number, numbers in your mailing address, your zip code, and your 2014 tax refund amount claimed on your 2014 West Virginia tax return. Where’s My WV State Refund? Where’s My West Virginia State Refund? Checking your refund status after you file can set your mind at ease when your money hasn’t come in. The IRS is easy to contact when you need to check your federal refund status, but your state tax refund status is a different story. Each state is totally unique in how to contact and check on your money, West Virginia State being no different. If you want to check your West Virginia State tax refund status, there are a few ways to go about it. The West Virginia state tax office has recently redesigned their website expressly to make things easier for the taxpayers this tax season. 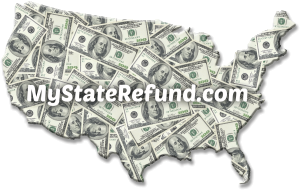 One of the sections they’ve redesigned is the page to check your state tax refund status. On the upper left is a box with the title “Popular Topics.” There you should see a link for “Check Refund Status.” After you click that button, you’ll need to enter a series of numbers to enter the page. Read the numbers and input them in the form. Now, to check your West Virginia state tax refund status, you’ll need to answer a few questions. Namely you’ll need to put in your Social Security Number (SSN), your filing status, and the exact amount you’re expecting. After that, you should get your state tax refund status. You might rather not submit your info online or want to talk to a human. In this case, you can do one of two things. You can call the West Virginia state tax refund status hotline, or write the West Virginia state tax office. MyTaxes a convenient and secure way to interact with the West Virginia Department of Tax and Revenue. Registered business taxpayers can view and update account information, file and amend returns, and schedule payments. This entry was posted in State Refund Information, West Virginia and tagged 2014, 2015, State Return Information, West Virginia, WV. Bookmark the permalink. Follow any comments here with the RSS feed for this post. Both comments and trackbacks are currently closed.